"We switched to Trident early in 2008 and can honestly say they have been excellent. We have at times bombarded them with work and they have always managed to get the job done. They are very prompt with their paperwork and efficient and professional at all times. We would certainly recommend them to other agents and clients. " “An excellent team, always willing to meet my deadlines, even if it means working unsociable hours or changing their already busy workload, to ensure my inventories are delivered in a professional format and on time. Quality service at realistic prices”. 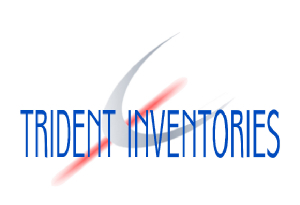 "Trident Inventories have always provided us with a first class service and are reliable, flexible and deliver inventory reports of a high standard. I would have no hesitation in recommending Trident Inventories to any agent or landlord"
“We have found Trident's staff both courteous and prompt in their service levels. We would have no hesitation in recommending them to others"
“Trident Inventories have always provided Rose & Co. with a professional and efficient service and have ensured that reports have always been delivered promptly. I am happy to recommend their services." Trident Inventories Limited is an independent family run inventory service company with over 30 years of experience in the lettings and property industry. We offer an unparalleled commitment to the delivery of a high quality service, offering both landlords and agents real peace of mind in this unprecedented period of change that the letting industry is now experiencing, with the introduction of the Tenancy Deposit Scheme that commenced on the 6th April 2007. Trident Inventories provide a guaranteed level of consistency and accuracy in our product providing the client the reassurance they need. 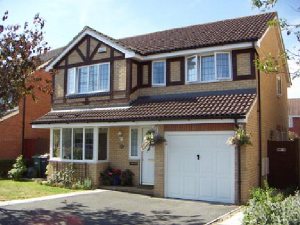 The Tenancy Deposit Protection (TDP) scheme came into effect on the 6 April 2007. All landlords and letting agents taking deposits for assured shorthold tenancies (AST) in England and Wales are now required to join a government – accredited tenancy deposit protection scheme. This safeguards all deposits that are taken by landlords and letting agents. To assist with the resolution of disputes by having an alternative dispute resolution service (ADR). This will also encourage tenants and landlords to have in place, from the outset, clear agreement on the condition of the property through best practice, such as the use of inventories, and agreement on the condition of the property. Landlords / letting agents will be required to join a statutory tenancy deposit scheme if they take deposits. Tenants will get all or part of their deposit back, if they have kept the property in good condition and are entitled to do so. The scheme offers alternative ways of resolving disputes which aims to be faster and cheaper than pursuing court action. To summarise; now more than ever, it is imperative for landlords, agents and tenants to obtain an unbiased inventory report issued by a professional third-party, that may provide legal protection if necessary.